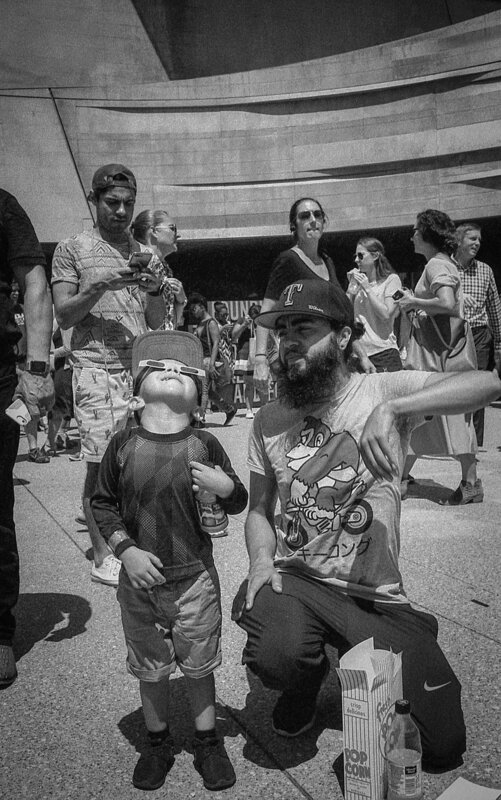 A father helps his son in viewing the eclipse. 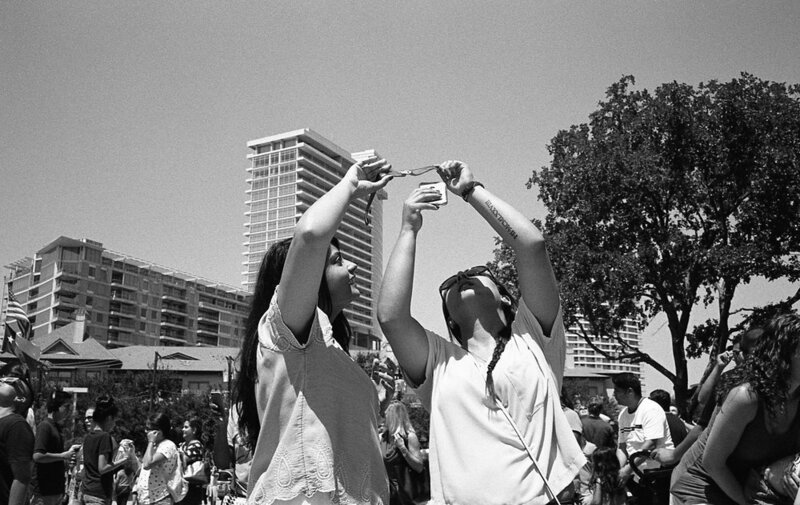 Two girls use their glasses as a filter to capture the eclipse with their phone. 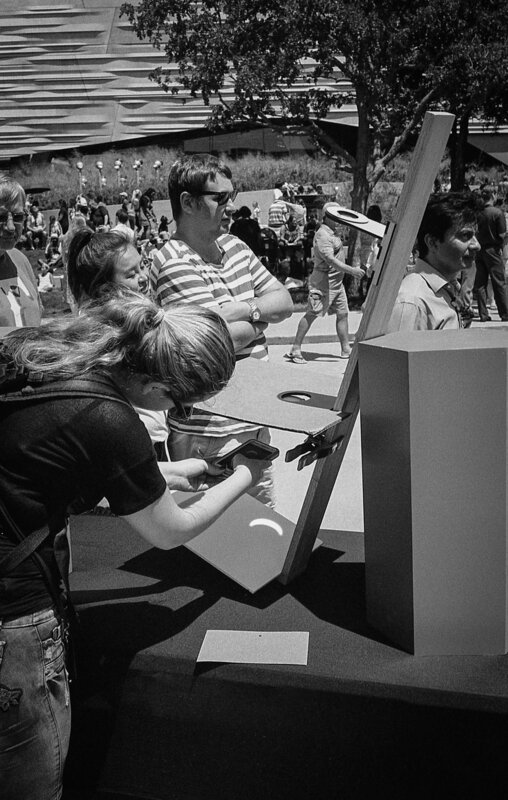 A woman uses her phone to capture an image of eclipse being projected on a piece of paper. Kids use air launchers to launch rockets they built on site during the eclipse event. Kids use a cereal box projector to safely view the eclipse. A girl uses a camera with a special filter provided by museum staff to view the eclipse. A group of people use their glasses to view the eclipse. Local Meteorologist Colleen Coyle live streams the eclipse event on the WFAA (Channel 8) Facebook page.